Affordable housing, or indeed the lack of it, is a huge problem in the UK and the people who lose out the most are would-be first-time buyers. At one time it was widely accepted that a young couple in their early twenties could buy a property and settle down. That is no longer the case. Extortionate house prices mean first-time buyers are struggling to get onto the property ladder and are renting for much longer than they used to. Why are First-Time Buyers Losing Out? A recent survey published by the Halifax found the average age of a first time buyer is 34 years old. In other words, graduates can not afford to get onto the property ladder until more than 10 years after they graduate. Of course this statistic is also affected by the different lifestyles people have now. Settling down at 21 is no longer a high priority. Indeed, many young people choose not to buy a property in their twenties and to instead enjoy the freedom of renting. Graduates and people in their twenties now have different priorities than in the past and renting is often a more viable options. Renting provides more freedom and flexibility which is often an attractive offer to a young graduate. 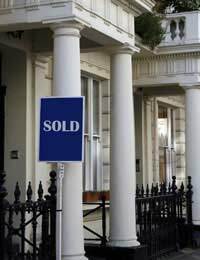 That said there is no denying the increase in property prices over the years gas put paid to many peoples hopes of buying a home and means if young people do want to get on the property ladder they either need a lot of help from family and friends or they have to wait and save. Who is benefiting from the lack of affordable housing? While first-time buyers are struggling, another group is profiting from the lack of affordable properties – landlords. While first-time buyers are unable to buy a property they are forced to continue renting and buy-to-let landlords are making the profit. Often any affordable housing that does exist is found in less desirable areas. You’re unlikely to find a two bedroom apartment in the centre of London at an “affordable” price. This is also something that benefits landlords. First-time buyers, especially young first-time buyers with no children, would often prefer to rent in a good location than buy the only affordable housing there is in a poor location. It becomes vicious circle because if a tenant is paying out rent each month – which is some areas of the UK can be very expensive – they are unable to save any money to put towards a deposit on a property and so cannot get out of rented accommodation and onto the property ladder. Buy-to-let landlords are not to blame though. Indeed for those who choose not to buy they are beneficial. But until something is done about the lack of affordable housing for first-time buyers it is the landlords alone who will earn money and make a profit while would-be first-time buyers are left shelling out money for rent each month that could be going towards a mortgage. To whom it may concern .It has come.to my.attention thàt over the.last 25 years that the rent as.gone up extremely High . T he 1980s a two bed flats rented from.200 to 300 pounds amonth.or more Now rent 1200 pounds and alot highter..One way to solve this affordable.housing the government.pays part of the rent to.the. Landlord and the tent pays the rest .Low income based.but.the tent choose where they.can live..In London or Hammersmith anywhere.all boughts have to.funed money. Landlord.must lower the rent And freeze rent. Also create more jobs at highter pay.